This guide will walk you through the best ways of approaching the two parts of both the FCE and the CAE writing paper of the Cambridge English examinations. It includes a compilation of tips, techniques and general advice from Cambridge examiners on what to do to pass the writing test. There are also Dos and Dont’s tables for boths parts of the exam. Examples of different pieces of writing, both formal and informal,have been included.They will help you prepare without needing to resort to other books. 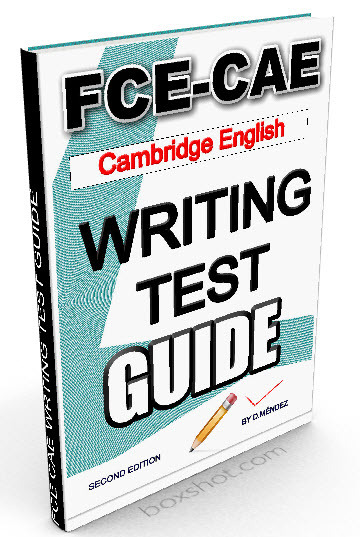 This guide is ideal for any student of English who wants to pass the writing paper of the FCE or the CAE Cambridge English examination.